To better cater for installer needs, Adey recently introduced two new products to the market. PHPI reports from the launch event. The Science Museum seemed a fitting place for Adey to launch its latest products, with technological advancements aplenty in the MagnaClean Professional3 Sense. With many aspects of our lives now benefitting from connectivity in the home, Adey has created the industry’s first Wi-Fi enabled magnetic filter. The company says that its development has been designed to not only provide high performance system protection, but also predict potential system problems, as well as provide connected preventative maintenance. 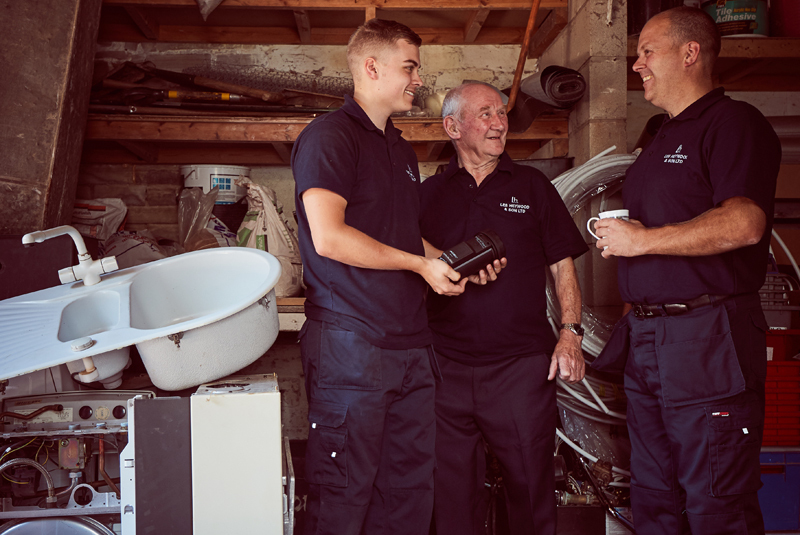 Using Adey’s Sense technology, the filter detects the level of magnetite collected, preventing ongoing system damage by alerting installers, so that problems can be treated before it’s too late. Nor does the new technology detract from the filter performance, according to the company. Benefits synonymous with the brand continue to feature, as well as the addition of Wi-Fi and battery-powered monitoring technology, enabling it to self-detect how much sludge has been captured and removed from circulation. It takes a reading every 12 hours for the first two weeks after installation or servicing, then once every five days, helping to prolong battery life of up to two years. This information is then communicated to the installer through the Adey ProClub App. Magnetite capture is easily monitored both in situ using LEDs incorporated on the canister design, or remotely via the App. The app provides installers with visibility of all Professional3 Sense filters they’ve fitted, reporting magnetite and battery levels, service information and recommended remedial actions to maintain system health. It also enables automated warranty registration. Installers are therefore able to provide proactive, accurate and more effective heating system care. Performance can be more closely monitored as well, as they ensure the system is running efficiently and guarding against unforeseen breakdowns. They also receive alerts to contact the customer to schedule maintenance and annual servicing appointments. Ultimately, Adey believes the addition of its new sensing technology will help installers to save their customers time and money, by taking corrective action and negating the need for costly repairs. In turn, it also helps them to better plan their workload and use their time efficiently. Not to be overshadowed at the event, the brand also further expanded its range of magnetic filters with the addition of its compact MagnaClean Atom. Research revealed that one of the biggest barriers to fitting a magnetic filter is space, with 47% of installers citing it as a problem. With just 115mm needed for installation, the new Atom is said to ensure effective magnetic filtration can be adopted even in the tightest of spaces. The design of the new filter carries the usual hallmarks installers have come to expect from Adey, such as its slip socket which enables installation in less than two minutes. It can also be fitted on vertical and horizontal pipework, be put onto by-pass for easy servicing, and chemical dosing can be done in 20 seconds using MC1+ and MC3+ Rapide.